Washington will not share intelligence data on Islamic State positions in Syria and will not accept Moscow’s offer to cooperate on rooting out terrorism until Moscow changes its position on Syrian President Bashar Assad’s future, the Pentagon said. Ever since the start of the Russian campaign in Syria in late September, Moscow has been offering to share information with the US-led coalition against Islamic State (IS, formerly ISIS/ISIL), urging Washington to reciprocate. After months of extensive diplomatic efforts by the Russian Ministry of Foreign Affairs, Ministry of Defense, and the Kremlin, the Pentagon is still refusing to enter the proposed cooperation. “We are not going to cooperate with Russia on Syria until they change their strategy of supporting Assad and instead focus on ISIL,” US Defense Department Spokesperson Lt. Col. Michelle Baldanza told Sputnik on Friday. Moscow has persistently insisted throughout the course of the Syrian conflict that it is only up to the Syrian people to decide who governs them. Russia has repeatedly spoken out against foreign intervention in the domestic affairs of any country, including Syria. The Kremlin has also made it clear that the government forces of Bashar Assad are the main fighting force against IS on the ground. Since September 30, Russian forces have been helping the Syrian army recapture the territories controlled by IS and other terrorist and jihadi groups. 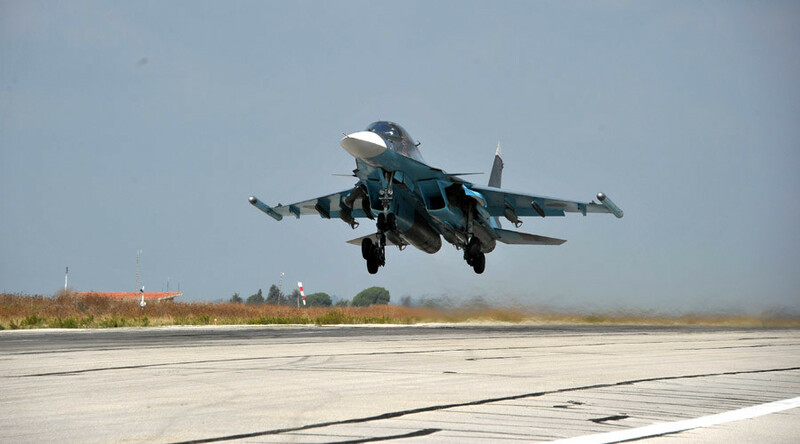 At the same time, Russia has occasionally been helping the clandestine moderate opposition, such as the Free Syrian Army, when they come forward to request help in their battles against the jihadists, and provides coordinates for airstrikes. Washington and their Middle Eastern allies do not consider the elected president of Syria to be a legitimate authority and want him gone, claiming only his unconditional departure can ignite a political process in the war-torn country. However, recently Washington has softened its rhetoric, saying that Assad might play a certain role in the “transitional period” while “how and when he goes” is being decided. 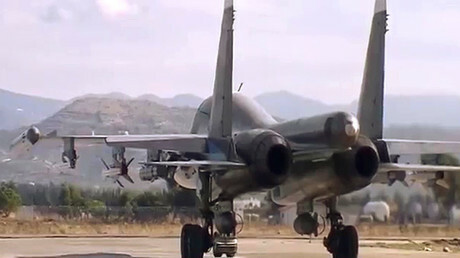 The issue of Assad’s future in the political life of Syria, which has been debated for years, has become acute since the launch of a highly successful Russian air campaign against IS in Syria. The US-led coalition has been accusing Moscow of attacking the “wrong” armed groups in Syria, at the same time refusing to specify which rebel groups they consider to be moderate which should not be targeted. Last week, Russian Foreign Minister Sergey Lavrov said at a joint press conference with US Secretary of State John Kerry that Moscow’s proposal to coordinate with the United States on airstrikes against terrorists in Syria had been on the table for two and a half months. The Russian role in Syria became the focal point of the frequent meetings between Vladimir Putin and US President Barack Obama from September onwards. During that period, Obama spoke several times with Putin on the phone and met him three times on the sidelines of international events, ending the period of “Russia’s isolation” that followed the Crimea affair of 2014. On Friday, the head of the Russian General Staff’s operations department Lt.-Gen. Sergei Rudskoy, once again announced his preparedness to share information with the US-led coalition on the location of militants in Syria and expected the same in return. “One should understand that Syria is being looted, and revenue from smuggling any products goes to ISIL. Any country participating in this illegal business is an accomplice of international terrorism,” Rudskoy stressed.